The Hills Conservation Network (HCN) has won the third legal battle against the many attempts to destroy the urban forest in the East Bay. Every lawsuit they have filed has resulted in significant victories that have prevented three public land managers from destroying as many trees as they wanted. We will briefly describe HCN’s early victories and end by telling you about their most recent victory. Finally, we will explain the implications of those legal successes for the threats to the urban forest that are still anticipated. Frowning Ridge after 1,900 trees were removed from 11 acres in 2004. This is one of UC Berkeley’s first projects to destroy all non-native trees on its properties. When UC Berkeley clear cut all non-native trees on about 150 acres of their properties in the hills over 10 years ago, there was no opportunity for the public to object to those projects because there was no environmental impact review. Those projects were a preview of the damage that other public land managers intended and they helped to mobilize opposition to the projects when they were formally presented to the public. The East Bay Regional Park District (EBRPD) published its “Wildfire Hazard Reduction and Resource Management Plan” in 2009. That plan proposed to radically thin and/or clear cut all non-native trees on several thousand park acres. Along with HCN, I was one of the members of the public who objected to those plans for many reasons: the loss of stored carbon and carbon storage going forward, the pesticides used to poison the non-native trees and vegetation, the increased fire hazard resulting from grassy vegetation that occupies the unshaded forest floor when the trees are destroyed. Tilden Park, Recommended Treatment Area TI001, June 5, 2016. This in one of the projects of East Bay Regional Park District, in process. EBRPD chose to ignore our objections and published an Environmental Impact Report based on the unrevised plans. We repeated our objections to the project when the EIR was published. The Hills Conservation Network filed their first lawsuit against the EBRPD EIR, which did not adequately address the environmental impacts of the plans. 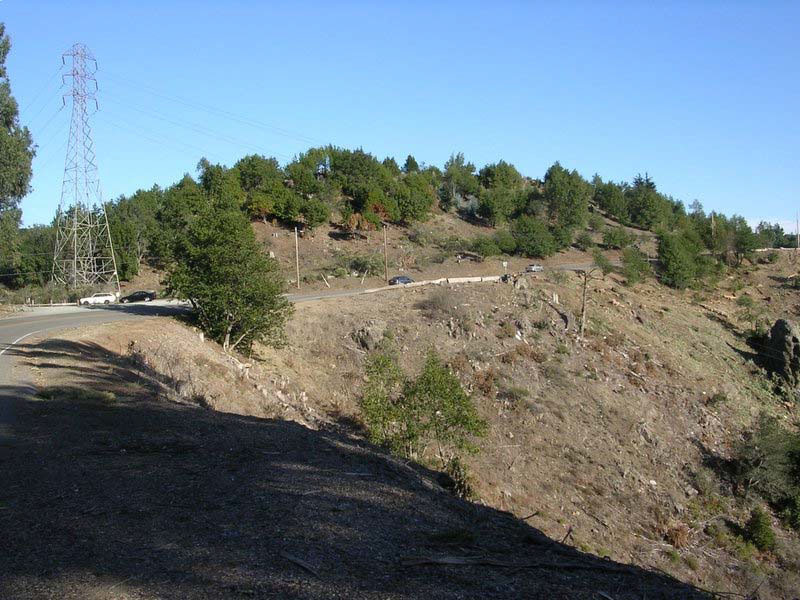 HCN and EBRPD engaged in a long and arduous negotiation which resulted in a settlement that saved many trees in Claremont Canyon and some in other project areas. EBRPD continues to implement their plans as revised by the HCN settlement. Meanwhile, UC Berkeley and City of Oakland wrote their own plans and applied to FEMA for grants to implement their plans. Their plans were more extreme than those of EBPRD. They proposed to clear cut ALL non-native trees on their project acres. Once again, along with HCN, I asked that FEMA not fund those grants to UC Berkeley and City of Oakland because of the environmental damage they would do and the increased fire hazard that would result if the projects were implemented. FEMA’s response to our objections was to require an Environmental Impact Study (the federal equivalent of an EIR) for the projects. I joined HCN in recruiting over 13,000 public comments on the Draft Environmental Impact Study (EIS). About 90% of those public comments were opposed to the projects. Despite that public opposition, the EIS was approved with a few small concessions. A few project acres would be “thinned” over a 10-year period, but ultimately all non-native trees would be destroyed on the project acres of UC Berkeley and City of Oakland. HCN sued FEMA to prevent the funding of the projects as described by the EIS. The Sierra Club prevented any negotiation from taking place by counter-suing. 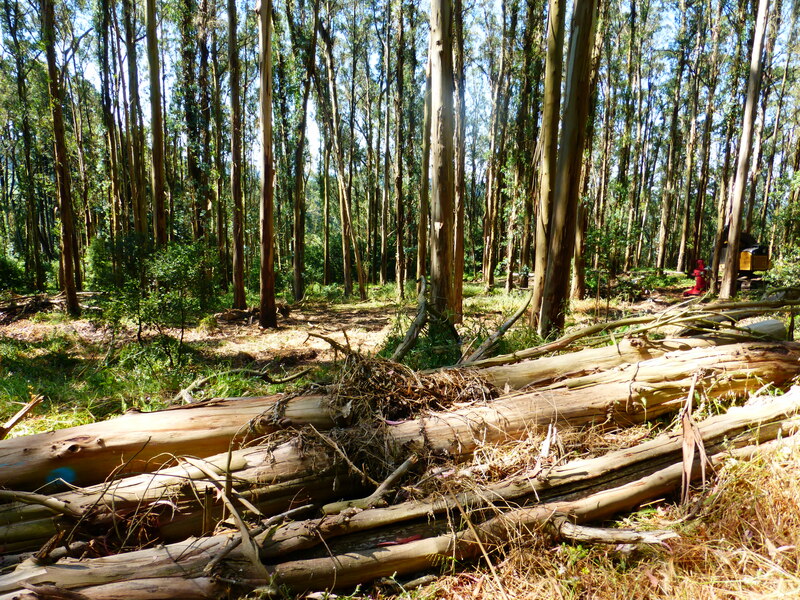 The Sierra Club lawsuit demanded that EBRPD clear-cut ALL non-native trees. The Sierra Club was not satisfied with the radical thinning that EBRPD is doing on most project acres. These competing lawsuits produced a stalemate that lasted until September 2016, when FEMA cancelled all grant funding to UC Berkeley and City of Oakland in settlement of HCN’s lawsuit against FEMA. That was truly a fantastic victory that was not anticipated. In fact HCN’s lawsuit only asked that UC Berkeley and City of Oakland scale back their plans to use the same “thinning” strategy being used by EBRPD. To this day, it feels like a gift. Sierra Club’s lawsuit to force EBRPD to clear cut non-native trees on their property was dismissed by the same judge who approved the FEMA settlement. The Sierra Club has filed an appeal of that dismissal. Sierra Club remains fully committed to its agenda of destroying all non-native trees and using pesticides to prevent them from resprouting. UC Berkeley attempted to satisfy CEQA requirements for an Environmental Impact Report for their FEMA project by writing an addendum to their Long Range Development Plan. They claimed that their Long Range Development Plan adequately evaluated environmental impacts of their planned tree removals. If they had succeeded, they would have been in a position to implement their plan without FEMA funding. The Hills Conservation Network filed their third lawsuit against UC Berkeley on the grounds that a brief addendum to UC’s long-range development plan did not meet legal requirements for an EIR. The judge who heard arguments for a permanent injunction to delay implementation of the project until completion of a full EIR, agreed with HCN. He pointed out to UC Berkeley’s lawyer that the description of the project in the long-range development plan bore little resemblance to the project presently planned. The judge had done his homework. The final chapter in this legal saga was that UC Berkeley attempted to avoid paying HCN’s legal fees. California’s environmental law (CEQA) requires that the losing party pay the legal fees of the winning party. This provision is intended to enable small citizen groups to challenge deep pocket corporations and institutions. HCN (and its legal representative) had been adequately compensated in its first two legal battles, but UC Berkeley thought it could refuse. The judge thought otherwise. Not only did he require UC Berkeley to pay for its illegal attempt to avoid environmental impact review, he commended HCN for its public service: “The Court determines that Petitioners were a successful party in this action, and that this case resulted in enforcement of important public rights and conferred a significant benefit on the public.” Yes, indeed, HCN has performed a valuable public service and we are grateful for the judge’s recognition. For the moment, we believe that UC Berkeley’s plans to destroy all non-native trees are on hold. They have several options. They can complete an EIR for the original plans. Or they can revise or abandon their plans. We will watch them closely. Update: On June 14, 2017, UC Berkeley filed a lawsuit against FEMA and California Office of Emergency Services to reverse the settlement that cancelled the FEMA grants to destroy all non-native trees on UC Berkeley project acres. (Media report on UCB lawsuit is available HERE.) HCN is developing a legal strategy to address this latest move by UC Berkeley. UC Berkeley’s lawsuit implies that they are still committed to their original plans to destroy all non-native trees. The reaction of City of Oakland to the cancellation of their FEMA grant was thankfully very different from UC Berkeley’s reaction. In November 2016, they signed a contract to write a vegetation management plan for the purpose of reducing fire hazards. That contract makes a commitment to conducting a complete public process, including an environmental impact review. The contractor has already held two public meetings and an on-line survey. We will participate in this process and we urge others to participate. Sign up HERE to be notified of the public meetings. The Oakland Fire Department has announced the next public meeting regarding the development of the vegetation management plan on Thursday, June 29, 2017 to provide project updates and offer an opportunity to ask questions/provide feedback. Project staff will be available to give a summary of the community survey responses received in March/April 2017, and to provide an update on Vegetation Management Plan development, methodologies, and work completed and underway. 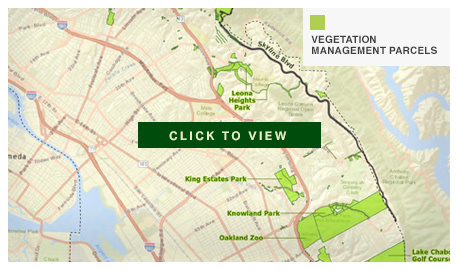 We are hopeful that Oakland’s vegetation management plan will be one that we can live with. The City of Oakland should understand that another lawsuit is an alternative if the vegetation management plan is as destructive as their original plans. Although I contributed to the cost of HCN’s lawsuits (along with many others), I don’t have the stomach to engage in them. Therefore, I am deeply grateful to HCN for their courage and fortitude in preventing the total destruction of our urban forest. Although I was skeptical of legal challenges as the way to prevent the destruction of our urban forest, I am now a convert. The HCN lawsuits were the most effective tool we had. Thank you for this update. And congratulations to HCN for persevering and for tireless commitment to save our urban forests. On this issue am ashamed of the actions of the Sierra Club which has spread misinformation about eucalyptus. Thank you for this wonderful good news!!!!! Thank you SO much for this update and history and all your work. And thanks to HCN for accomplishing so much to save our trees and to stop the poisoning. And for giving us hope that lawsuits can work. So much more to be done, but this hope and what has been done already is monumental. Yes, Sierra Club should be ashamed, and everyone who supports them should learn the truth, and take it back to being an environmental organization again, instead of an enemy of the environment. Spreading the word is making all the difference and you’re doing that is making all the difference too. I firmly believe that if most people knew the heartless plans to destroy our parks, trees, the animals who live in our parks, and the plans to contaminate our earth, air, and water, they would join us and stop it. Can you find other websites that are critical of, question, and take a stance against nativism and invasion biology? What is your stance on Burmese Pythons? What is your stance on Zebra Mussels? What is your stance on mongooses? What is your stance on community cats? I’ve heard that Trap Vasectomize Return is more effective and more humane that Trap Neuter Return. TVR or TVHR uses a less invasive surgery, it spares the endocrine system, hysterectomized and tubal ligated females are treated like intact females, and vasectomized males are treated like intact males. Vasectomies, tubal ligations, and ovary-sparing spays are quicker, less invasive, and less fraught with health risks, behavioral risks, and complications than traditional spays and neuters in TNR are. TVR and TVHR also manage cat populations where they are overpopulated more effectively than TNR does. Here is my website on the spay/neuter matter when it comes to cats, Hormonally Intact and Responsible: Cats. I have not studied the phythons enough to have an opinion and I am not aware of a controversy about mongoose. If you have information, please share it. Do you have an opinion on nutria, another introduced species? What is your stance on those animals? I have not studied nutria, so cannot say. I would expect to find pros and cons, as with most introductions. If you know something please share it. Mr. Branco is not well-informed. The comments by firefighter David Maloney in a recent Chronicle article are more pertinent. Could you please send me some articles regarding this issue? I will post them on my Facebook. It seems there are a lot of people out there that need to be educated. Please visit our Facebook page, “Death of a Million Trees.” Articles are published on that Facebook page every day. Thank you for your interest.